Massive Entertainment is bringing The Division, an online open-world RPG set in the Tom Clancy universe, to the Xbox One and PS4. 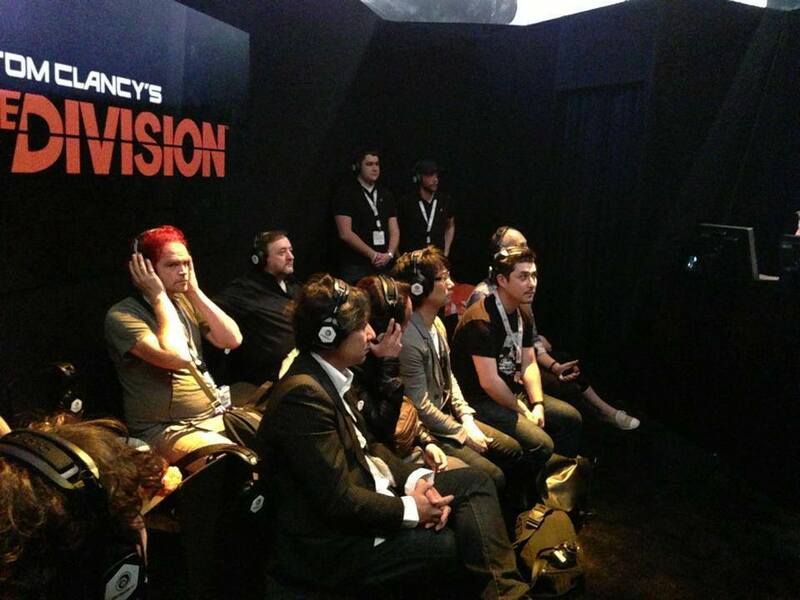 Ubisoft unveiled the game at its E3 conference. The setting is New York, in a world three weeks deep into a global pandemic which began on Black Friday. 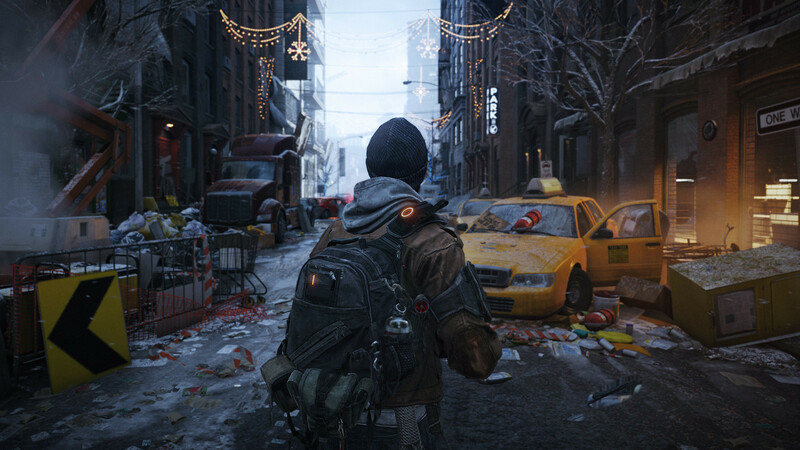 Players take on the role of 'The Division,' a group of "self-supported tactical agents." 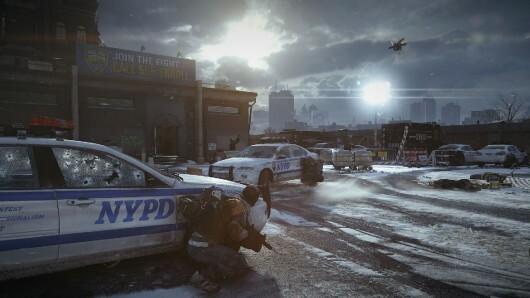 A gameplay video showed a player in third-person view co-operating with other agents to infiltrate and secure a police station, and then loot its armory, before suddenly entering into a standoff with other players. Update: A press release reveals The Division is due next year. Also, we've got both the announcement trailer (above) and gameplay demo (below the break). Ubisoft has announced Tom Clancy's The Division, a "massive online" title about which very little is known. Game Informer labels it an "MMO shooter," but thus far there is no information about the number of supported or simultaneous players or whether or not the title will feature some sort of persistent world. The website says that Ubisoft has "designed the title without classes and with solo play in mind," including a flexible build system, instanced encounters, and group content that encourages players to actually group due to a lack of difficulty scaling. Touch Arcade reports that tablet players can jump in as drones alongside regular players. Ubisoft has shed a little light on its new Tom Clancy open-world RPG for Xbox One and PS4, The Division. First and foremost, the game has no predefined classes. Players are allowed to assign skills to their characters as they see fit and those skills are "totally changeable." So, you're able to spec your character as a healer or tank or whatever the situation demands. 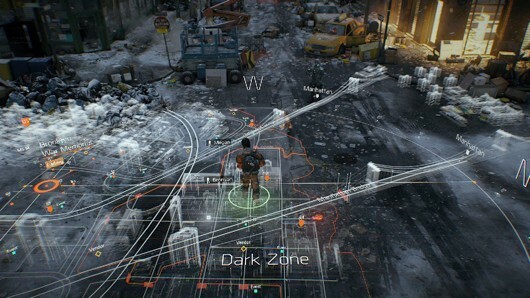 The publisher also detailed The Division's second screen experience, which allows players to join games via a mobile device. Joining a game via a tablet allows players to take on the role of a drone that can provide a number of benefits to players on a console. The drone is able to heal and provide buffs to players, tag and debuff enemies, and it can even summon a missile strike. Drones have their own progression system as well. As did many of the games shown at E3, The Division will employ a seamless multiplayer system, allowing online squads to play cooperatively or engage in PVP without leaving the game world. A "black-market economy" system will allow players to create weapons and items and trade them with others. During Ubisoft's first quarter investor call today, CEO Yves Guillemot narrowed the release window of open-world Xbox One and PS4 RPG The Division to late in 2014. "We can expect it will be closer to the end of the year than the beginning," said Guillemot, adding a follow-up clarification that he meant for the calendar year and not the fiscal (which would have meant Jan.-Mar., 2015). Today's call emphasized Ubisoft's next-gen strategy, which will be a heavy investment and focus on open-world games with multiplayer components.